It’s frustrating to invest in a high-quality website and not know exactly how much it’s benefiting your business. 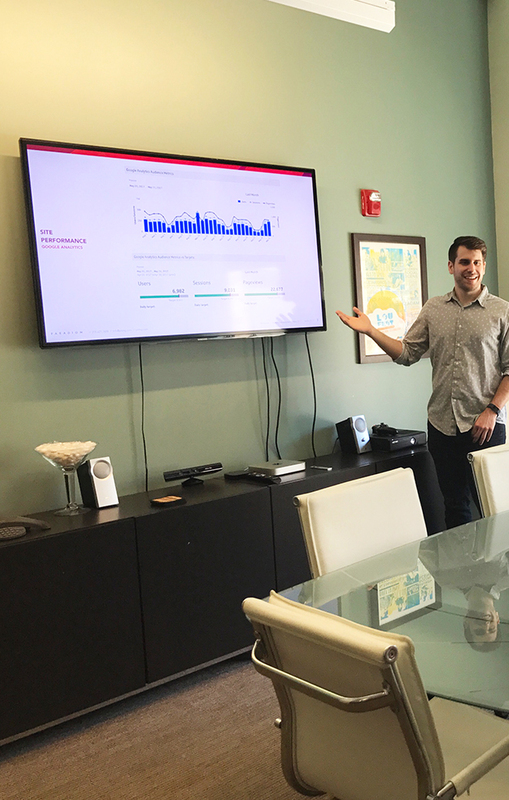 By integrating the top web analytics tools into client’s websites, our Google Analytics certified team will track key information about your visitors and how they’re using your website. This allows us to make smarter marketing recommendations that are based on hard data instead of assumptions or predictions, saving you time and money. Benchmarking starts with a thorough analysis of your site’s current traffic and rankings. Who are your users? How are they finding you? What are they reading on your site? Web analytics tools will answer these questions and guide critical decisions around your digital marketing campaigns and search engine strategies. As we make improvements and optimizations, we’ll use this data to create reports that will feature industry benchmarks to measure our progress. We’ll also build a competitive analysis that evaluates how your site stacks up to others in the industry. We also offer a website audit service for an even deeper dive into your site’s performance, search engine health and overall development.